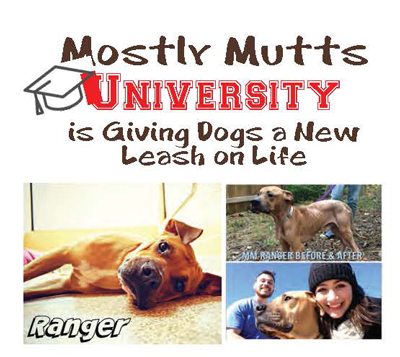 Mostly Mutts has implemented a unique initiative we call Mostly Mutts University (“MMU”) where the adoptable dogs are trained in basic commands while they wait to be adopted by their forever family. The program began in May 2017 thanks to an “Innovation Grant” from Maddie’s Fund. Our training program is administered by a professional trainer, Emily Shervin of The Gratefull Dog. Emily trains a team of volunteers who are assigned two dogs each for training. The trainers work with the dogs several times a week, and once they determine the dog to have mastered a particular skill, Emily tests them. Their MMU kennel tag proudly displays which commands they know. Dogs are also being tested for toy aggression, kid tested 10+, and dog tested. As of October, 2017, 100 graduates of Mostly Mutts University have been adopted. This program is truly wonderful, not only because the trained dogs are likely to be adopted faster and adjust to their new homes more easily, but also for the very important one-on-one time the dogs have with the trainers. The mental stimulation of learning new things helps burn off excess energy, leaving the dogs tired and happy! Hi! 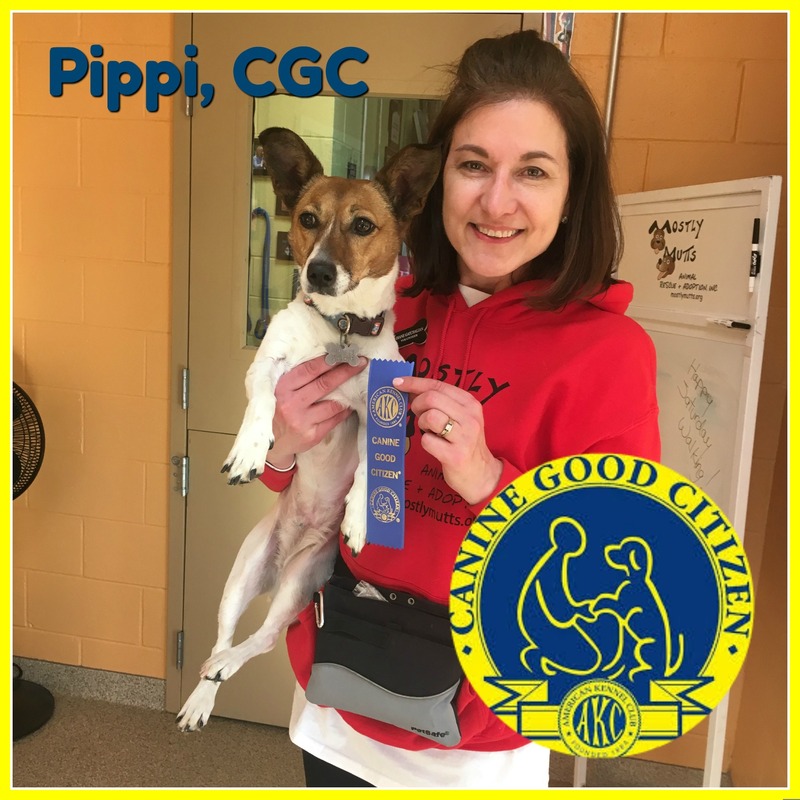 I'm Pippi, CGC. I am an American Kennel Club certified Canine Good Citizen. This program is recognized as the gold standard of bahavior for dogs in our community. To be a CGC, I had to pass a challenging 10-step test with a professional trainer. I'm honored to now have CGC after my name so everyone knows that I am a good citizen in the community. As a graduate of Mostly Mutts University, I have worked extensively with a trainer to master the key obedience commands that will help in my new home. My trainers have said that the MMU program has brought out the very best in me! I love going on weekly walks with my trainer and other MMU dogs that are learning to leash walk with a buddy. It's so cool that now I help train other dogs! I'm still looking for my forever family! 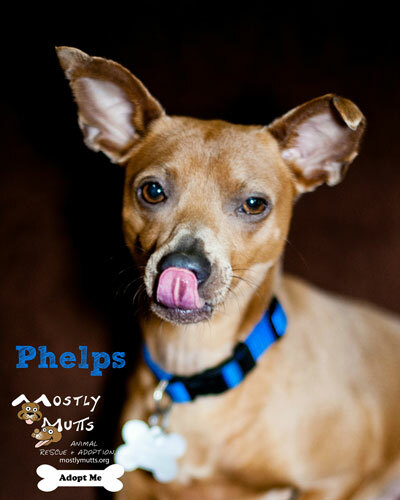 Please see my profile page on the adoptable dogs section for more details about me. “I’m Potter and as you can see, I am a senior! 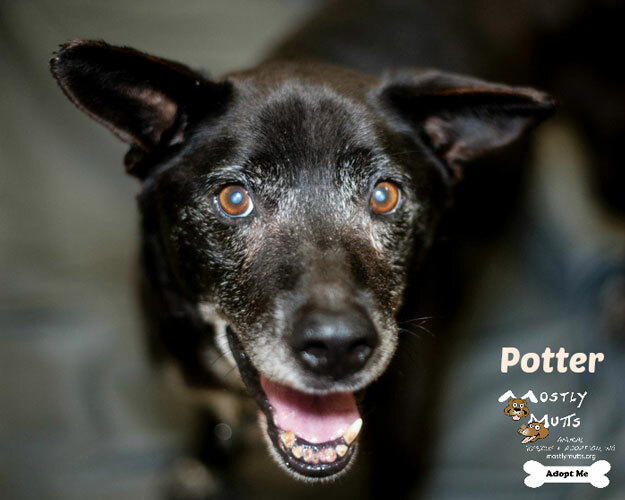 I came to Mostly Mutts from animal control at 10 years old, unneutered, skinny and heartworm positive. I was also extremely dog aggressive, so much so that I attacked my own reflection! I had lived outside on a chain my whole life and had no training of any kind, my future looked grim, I was a very unhappy dog. Then great things started to happen, I began my studies with my trainer at Mostly Mutts University! Eight weeks later, I had a job! (I'm a part border collie and I need a job they say!) I have completed my canine good citizenship. My trainer is very smart, I have taught her to give me treats for sitting and staying...she even gives me treats for walking on a leash! I focus all my attention on her; if she tells me to leave other dogs alone I do! I have met Chico, Walker and Tiger and liked them all! I have even learned to like my reflection in the glass, I am a handsome guy! I have been “socialized”, that means going to Dairy Queen and Starbucks! I do so love going out for a meal and car rides are my favorite thing! Then a true miracle happened! I got an “Adoption Application”, my trainer said a family wanted me! Turns out it was the family of the little girl that read to me weekly at the Mostly Mutts Read to Dogs Program!  The only issue was that they have a dog, the ultimate test of my training… I would have to live with another dog! I had to pass the test she said, and I did! I used my perfect manners and went home with my new family. “Hi, my name is Cooper now, but you can call me Phelps. That’s how everyone at Mostly Mutts knows me. I am a proud graduate of the very first class at Mostly Mutts University. When I first met my trainer, I had all kinds of scary signs on my kennel, like ‘may bite’. I really disliked other dogs and whenever I saw another dog I let everyone know that they better not mess with me. This made it almost impossible to take me out for long walks and the exercise that I require. I would get so worked up that I would even lunge at people. My trainer started teaching me basic commands and realized pretty quickly that my tough guy routine was all an act. I was really scared and was acting tough to cover that up. So we started going for lots of training hikes and long walks. It took several weeks, but I eventually stopped jumping at people. It took a lot longer to learn that other dogs were okay and I could relax around them, but we kept at it. My trainer had another volunteer walk other dogs with us and I started to make new friends. I really learned a lot by watching how they behaved at the park, especially my buddy Abraham. Click on the image to see the whole story!! !